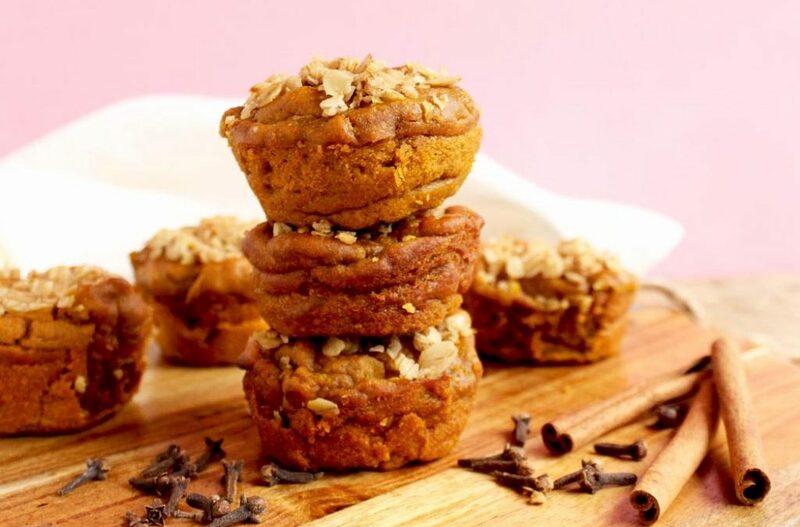 Inside Scoop: These Blender Pumpkin Protein Muffins are made completely gluten-free and with healthy ingredients. These aren’t your traditional light and fluffy muffins, these are your nutrient dense, pumpkin protein muffins. They are your healthy snacking, healthy kiddos, healthy workout, healthy breakfast type of muffins. 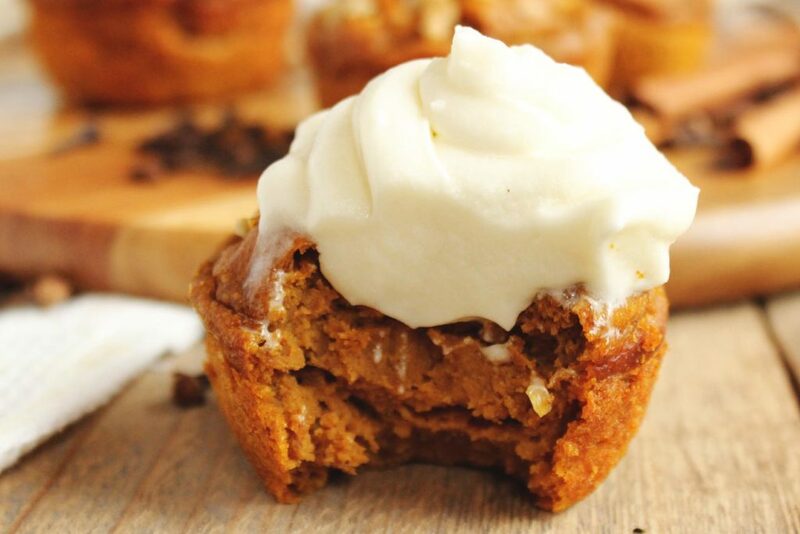 Since we’re all about pumpkin spice every fall, we just absolutely need to let you in on this pumpkin protein muffins recipe. And yes, we do need a light and fluffy muffin from time to time, but blender muffins are the best when you’re in a pinch and need something that’s virtually mess-free, that you can add a ton of protein, healthy fats, and vegetables to, but at the same time want a delicious snack. You can literally blender muffin a variety of flavours of muffins. 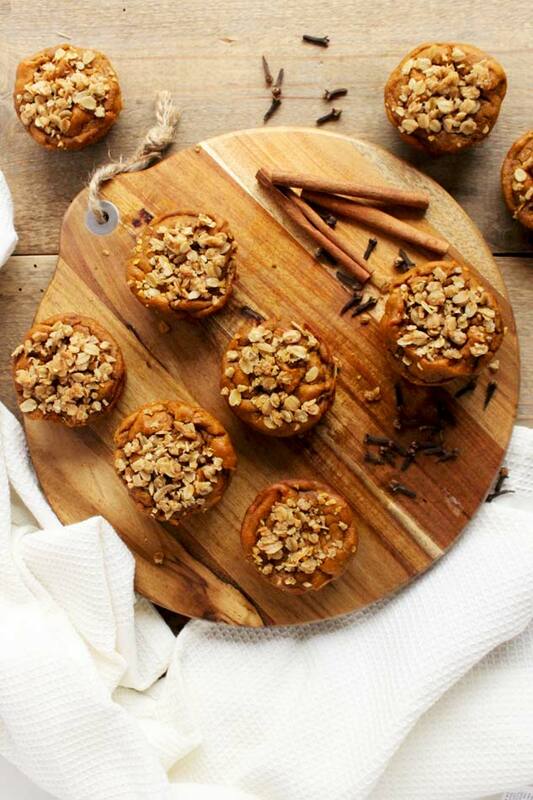 Today we’ve just happened to choose pumpkin protein muffins. We talk a good pumpkin spiced game, and have some pretty amazing recipes for pumpkin spice everything, I mean check out these Pumpkin Pie Chia Pudding Jars, and our Pumpkin Spice Roundup, but since we are nutritionists we need to dip into the health benefits of pumpkin for a minute, because it’s a pretty forgotten about squash until October arrives, and then it’s pumpkin everything. But, the actual pumpkin is pretty amazing in terms of nutrient density. 1 cup of cooked pumpkin contains a crazy amount of Vitamin A, like 200% of your RDA, it’s definitely up there. Vitamin A is one of those amazing fat-soluble antioxidants that is vital for vision and skin. Not only is pumpkin high in Vitamin A, but also high in potassium (yeah, more than bananas BTW). 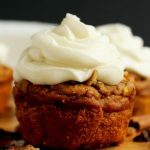 These pumpkin spice muffins are actually going to help rebalance your electrolytes and assist with healing post-workout. 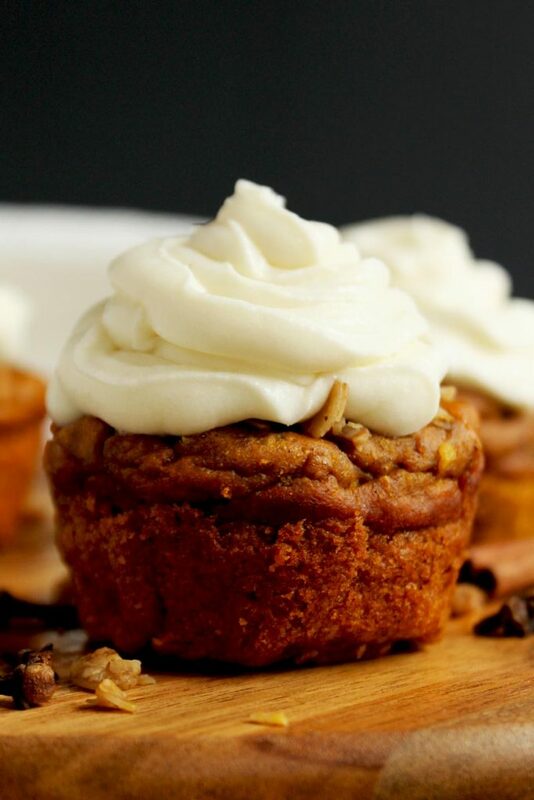 Like we mentioned these muffins are a great little post-workout treat, healthy breakfast option, or just a great snack option, but sometimes you want to take it to the dessert level with pumpkin spice. Check out this Coconut Whipped Cream to top your muffins with. So. Good! These high protein muffins are the perfect healthy snack, post workout snack, breakfast or dessert. Top with granola or whipped coconut cream. Preheat the oven to 350F and grease or line a muffin tin for 12 muffins. Place of all of the ingredients, wet ingredients first, into a blender or a food processor and blend until smooth. Pour the batter into the muffin tins, bake for 25 minutes, until toothpick comes out clean. Cool for at least 10-15 minutes before serving. *You can also replace the spices above with 1.5 tsp of all spice. Use whipped coconut cream recipe (see above) for a wonderful dessert option.